Mr. Brown, who earned his licence to practice law in 1981, has been a Board Certified Specialist in Residential Real Estate Law since 1989 by the Texas Board of Legal Specialization. In 1978 Mr. Brown was awarded a Bachelor of Arts degree from Rice University as a National Merit Scholar, after completimg research programs at Swarthmore College (Philadelphia, PA) and The American University (Washington, DC). Mr. Brown is a 1980 graduate of the University of Texas School of Law, where he served as editor of the Texas Law Forum. While at UT, Mr. Brown completed a research rotation at the LBJ School of Public Affairs in public school finance and desegregation. After law school, Mr. Brown was employed on the legislative staff of the Texas House of Representatives, and later as an elections consultant to candidates and community groups across Texas. He is admitted to practice before the U.S. District Court, Western District of Texas, and is a current member of the Real Estate Sections of the State Bar of Texas and the Travis County Bar Association. 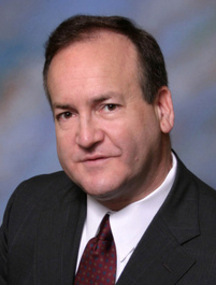 His primary areas of practice include real estate and contracts law, business matters and civil litigation. Mr. Brown has served as a judge for mock trial and moot court competitions at the University of Texas School of Law, as an expert witness for real estate litigation, as a lecturer for continuing education in real estate law topics, as a court-appointed business receiver, and as a municipal court judge. He was elected to serve four years as Chairman of the Lake Travis Chamber of Commerce. Mr. Brown was voted Citizen of the Year by the Lake Travis Chamber of Commerce. Mr. Brown was a founding partner of the law firm in 1983.